All homes currently listed for sale in the zip code 91739 as of 04/22/2019 are shown below. You can change the search criteria at any time by pressing the 'Change Search' button below. "This is a one of a kind huge single story home located in the prestigious carriage estate community. A massive kitchen island is open to an engaging family room. All of the rooms are large enough to have king size beds. The master suite has it's own entrance and has a office, gym, or nursery next to the sleeping area. Master bath has a jacuzzi tub and a dual head shower with his and her entrances. Never have enough room for clothes, not anymore. The master closest is it's own room with his and her entrances, its beyond big. This home has 10ft ceilings wrapped in crown molding. Oversized hallways allow you and your family room enough to navigate throughout the house with ease. The home has an oversized 4 car, yes 4 car garage just waiting to be filled with your own collection of toys. 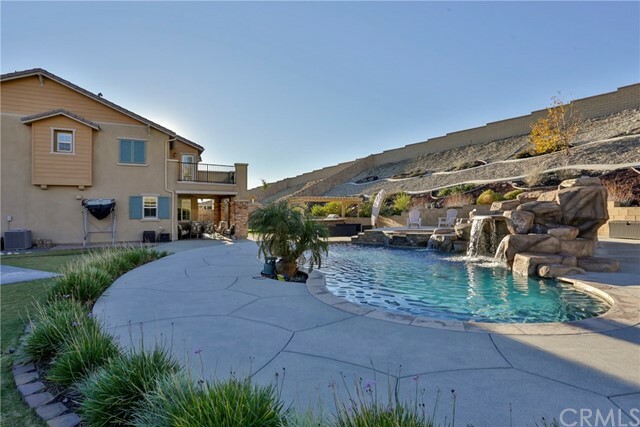 It is a piece of paradise located next to the San Bernardino mountains. Open floor plan with plenty of space. Nestled in a quit neighborhood. Close to shopping and award winning schools. This pool features a rock and pebble tech pool with a water slide and two waterfalls, a 35ft long custom built BBQ island, a 900 square foot mother in law quarters (man cave), a four car garage. Property is surrounded by equestrian trails on two sides adding to the privacy. Freshly painted inside and out. Landscaping is like being at a resort. Home is on over a half acre lot (28,500 square feet)." "Welcome to Etiwanda Classics by Manning Homes. 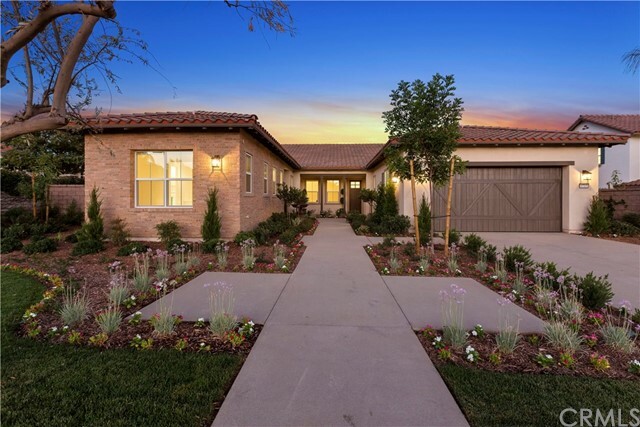 An intimate enclave of 16 newly constructed estate homes in the beautiful historic Etiwanda community of Rancho Cucamonga. 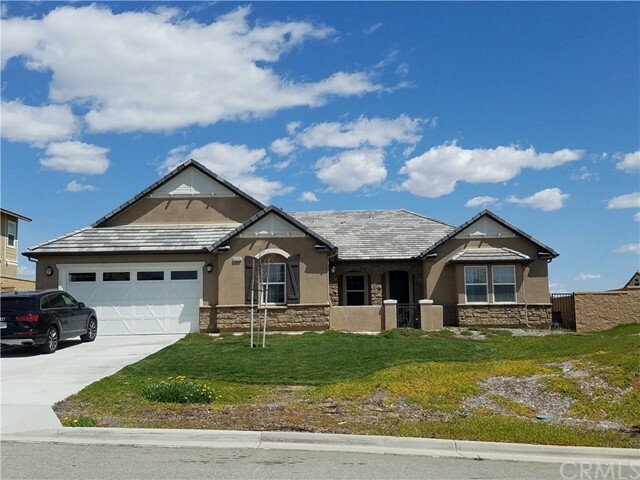 This two story, approximately 4,550 square foot 4 bedroom, 4.5 bathroom homes showcases truly exciting architecture with a fresh and spacious open floorplan. The Residence Three s magnificent covered porch entry adds curb appeal, flowing into the welcoming foyer and spectacular dining room and great room beyond. The well-equipped kitchen showcases all KitchenAid appliances, a large center island with breakfast bar, plenty of counter and cabinet space, a sizeable walk-in pantry, a convenient home management center, and bright breakfast nook. The desirable covered outdoor living space and spacious yard are accessible by beautiful 16 foot sliding glass doors. The elegant master bedroom suite is highlighted by recessed lighting, high ceilings, huge walk-in closet, and deluxe master bath with dual vanities, large soaking tub, luxe shower with seat, and private water closet. The generous secondary bedrooms each feature roomy closets, and are central to the desirable bonus room. Additional highlights include a tranquil courtyard off the dining room, luxury appointments, large 4 car garage, downstairs den with full bath, an abundance of storage/linen closets throughout, large centrally located laundry, and convenient powder room. Optional Bedroom 5, Bedroom 6, Bathroom 5 and Master Retreat available." 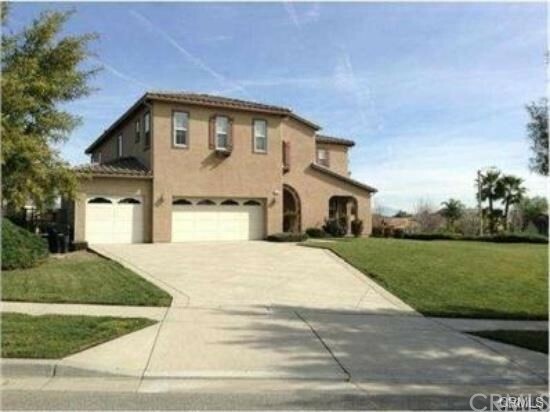 "Stunning Home In This Beautiful Etiwanda Area Now Available! This Beauty Features A Total Of 4 Bedrooms, 3.5 Baths With Over 4,000 Square Feet Of Living Space & Huge Lot! As You Enter The Home You Will Notice The Very Functional & Open Floor Plan With High Ceilings & Recessed Lighting. On The First Level You Will Find A Bright & Cozy Formal Living Room / Formal Dining Room / A Guest Suite With Its Own Private Full Bathroom / Powder Room / Huge Great Room That Opens To The Spacious Kitchen. The Kitchen Features Warm Colors Throughout With Plenty Of Cabinet & Counter Space, Large Pantry, Large Middle Island & Additional Built-In Desk. On The Second Level You Will Find An Office Area With Built-in Shelves & Cabinets / A Gigantic Loft / Master Suite With A Balcony Offering Incredible Mountain and City Lights Views / Master Bath Is Spacious With Views Of The City & Mountains From The Large Tub, Huge Walk-In Closet / Another Full Bath & An Additional 2 Bedrooms. 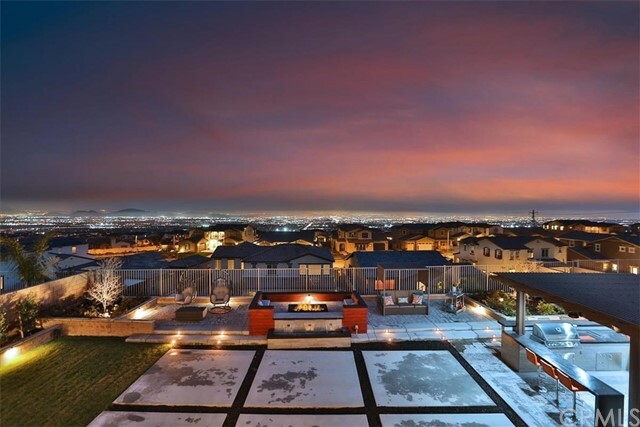 The Backyard Is An Entertainers Delight With Built-In BBQ / Patio Cover / Built-In Fire Pit With Circular Seating Area / Half Court Basketball & Spectacular Views Of The City & Mountains. Low Property Taxes, No HOA, No Mello Roos / Award-Winning Etiwanda School District (John Golden Elementary, Day Creek Intermediate, And Los Osos High School). North Of The 210 Fwy And Very Close To Victoria Gardens Where You Can Shop & Dine. Don'T Miss Out, Must See To Fully Appreciate." "Coveted location at the top of Day Creek offering unparalleled views, this amazing estate with an entertainers backyard has just hit the market! Beautiful distressed tile flooring welcomes you as you pass the threshold. The main floor features a stunning living room with cozy fireplace, elevated ceiling and large wall of windows overlooking the backyard. The gourmet kitchen with huge center island, granite countertops and beautiful tile backsplash is accented with state-of-the-art stainless steel appliances and offers a butler pantry providing additional prep and storage space. 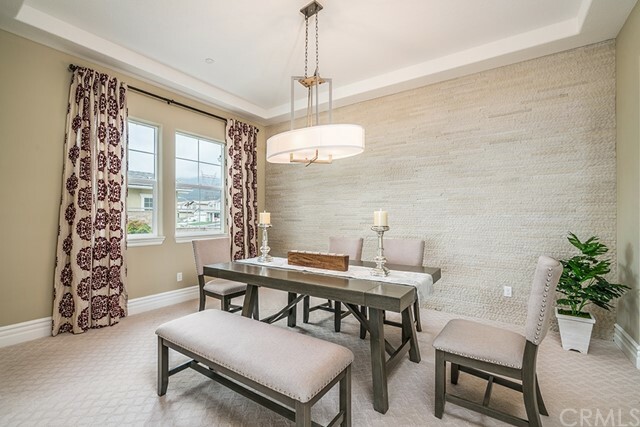 There is also a gorgeous formal dining room, bedroom and bath on this level. All remaining bedrooms and a family room are located on the upper level ensuring maximum privacy. The master bedroom is nothing short of spectacular and the master bath is the perfect place to unwind and soak in your huge tub after a long day. It also provides ample closet space and a standalone shower. The laundry is also located on the upper level and there is a large balcony overlooking the gorgeous city view. All remaining secondary bedrooms are all good size and provide ample natural light. The backyard is eco-friendly requiring minimal water and offers a huge covered outdoor living area with a barbecue, sink, full bar, two TV screens and a sitting area. There is also a large built-in fireplace with wraparound seating and a beautiful waterfall feature. This home is magnificent by every definition of the term!" 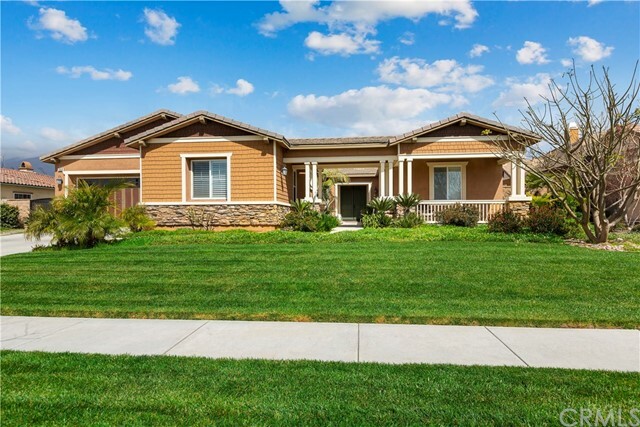 "Stunning pool home situated in equestrian community of Rancho Cucamonga. The home features a beautiful gourmet kitchen including a wine refrigerator and separate prep sink. The backyard features a pool, spa, fire pit, built in BBQ center, and a beautiful yard. Neighborhood great shopping areas : Victoria Gardens, Ontario Mills, Costco and many fine restaurants. 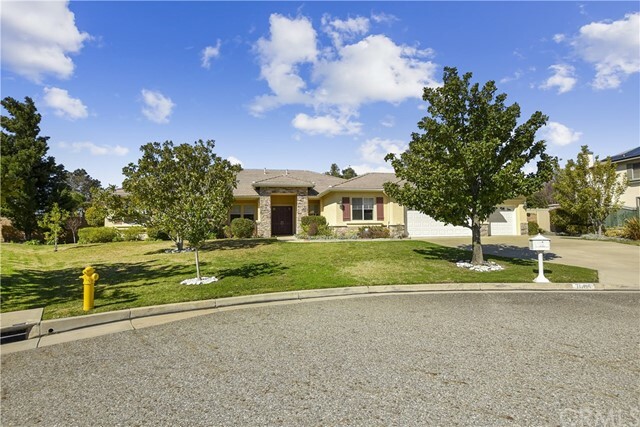 The schools are in the excellent Cucamonga-Etiwanda School District, and freeways are easily accessed." "Amazing home! Entertainer s dream! Imagine the memories you will create in this north Rancho Cucamonga estate home in the prestigious Rancho Etiwanda gated community. With commanding panoramic views of the mountains and the valley below, this seven-year-old, turn-key property offers an open-concept floor plan and giant loft on second floor, gourmet kitchen with reverse osmosis and walk-in pantry, rock formation pool with waterfall/grotto, built-in BBQ/outdoor kitchen. Master bedroom includes a trey ceiling, sliding barn door entry to the spa-like master bath with dual sinks, built-in makeup vanity, his and hers walk-in closets, walk out door to 2nd floor deck overlooking the backyard. 3 additional bedrooms upstairs, 1 bedroom downstairs with attached bath, 3 full baths upstairs. 2-3/4 baths downstairs. Formal dining room, breakfast nook, fireplace, ceiling fans in all bedrooms, recessed lighting throughout home, high ceilings, laundry room conveniently located on the second floor and includes a utility sink. Outdoors the highlights include: Unique pie shape lot that creates an expansive backyard. kidney shaped pool with jumping rock, raised spa, and baja step with numerous umbrella sleeves. Lighted built in BBQ prewired for outdoor speakers. Tropical landscaping, low-maintenance, low-water custom hillside hardscape. Dual zone HVAC, deep garages to accommodate most trucks/suvs. Make an appointment today to see this Home!" "Looking for your forever home? 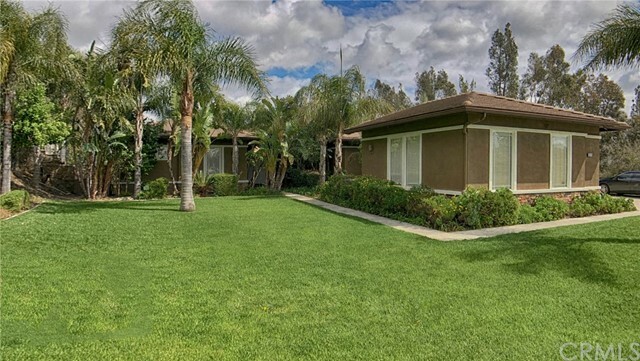 Look no further, you can age in place in this gorgeous 5 bedroom 3 bath single story ranch style estate in a cul-de-sac on just over a half an acre landscaped lot. The home features a double door entry with wide foyer that opens to the formal living & dining room with 12 ceilings, crown molding, 5 + baseboards, double French Doors, a Bay window & wood flooring that carries through the hall & master bedroom, a cooks kitchen with lots of cabinetry, a large center island with seating, granite countertops & backsplash, a gas cooktop with vent hood, double ovens & built-in microwave, tile flooring in kitchen carries through to the dining nook & family room with gas fireplace, separate indoor laundry room is tiled with lots of cabinets & a utility sink, patio door in family room provides additional access to the backyard with large patio, built-in BBQ island, 4 fountains, mature landscaping & room for pool and/or casita. The fully landscaped front & rear yard with 3 mature Magnolia trees, several fruit trees, large driveway & 3 car garage round out this magnificent property. There are several walking trails in the community including the Pacific Electric Trail that provides enjoyment to individuals to walk, jog or ride a bicycle or horse from the Los Angeles County Line at Claremont to Rialto along its 21 mile path also conveniently located to schools, churches, shopping centers and the 210, 15 & 10 freeways, this property is commuter friendly." "Situated in the prestigious Carriage Estates Community, this Spanish style executive home boats of Master Suite on main level, all bedrooms w/its own bathrooms & a resort-like backyard w/swimming pool & spa. This beauty greets you w/Terra Cotta roof, newly painted exterior, iron accents & an extensive driveway. Upon entrance, you are impressed by elegant wood flooring, spiraling grand staircase & size of the formal livingroom & diningroom- where you can entertain using these combined spaces as a Great Room . Well-appointed kitchen features granite countertops, oak cabinetry, tile floors, double ovens, 5-burner island cooktop, butler s pantry, counter top & island seating. Rounding out the main floor is an office, laundry room & a delightful Master Suite. Retreat to your special place of serenity & shut the door to your humongous master suite on main level w/open retreat area & private outdoor access. The Master Bath boasts dual sinks & closets, separate vanity for her, deep soaking tub for great bubble baths & walk-in glass shower w/dual shower heads. Meander up to the 2nd floor where you find a loft area & 3 more bedrooms all w/connected bathrooms. Enjoy a resort like experience in this backyard; take a plunge in the pool, relax in the jacuzzi, or play on the grass. Plenty of room for entertaining/sunbathing on the patio with retractable shade cover, built-in BBQ island w/seating & lush landscaping. Low taxes & assigned to award-winning schools. Make this beauty yours!" 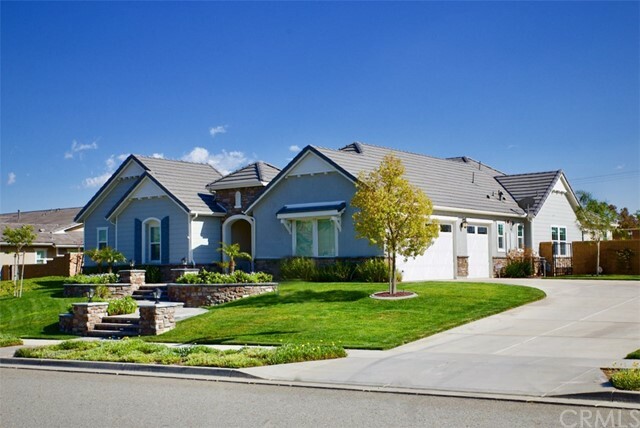 "Picture yourself on prime real estate in Rancho Cucamonga. A half acre horse property lot with breath taking mountain views. 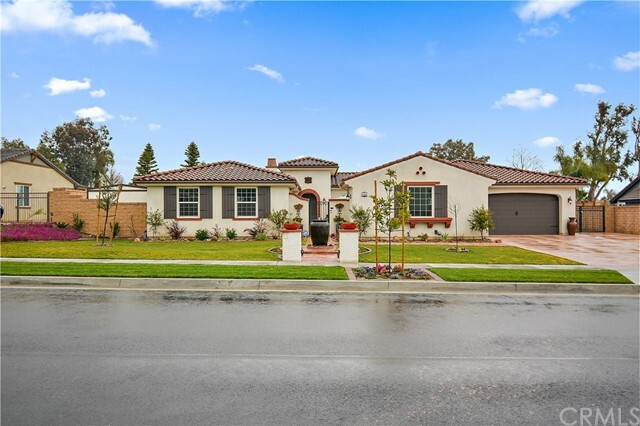 Your Craftsman style home sits within the prestigious Andulasia community of North Rancho & blends a modern luxury floor plan with traditional style. A private cul-de-sac location, with over 60 feet of RV parking, & a 3 car tandem garage for all your storage needs. The estate features 4 bedrooms and 4.5 bathrooms with 3,676 sq. ft. of living space. A private casita is attached to your home with a separate entrance & secluded full bathroom, perfect for multi-generational living, occasional guests, or a quiet office space. Your open floor plan is accented by 10 ft ceilings, & 8 ft doors throughout. The family room ambiance is heightened with a gas fireplace, and the living room is complimented perfectly by disappearing hideaway doors that lead to the outdoor entertaining space. Your backyard is a quiet oasis, adorned with Belgard stone, a covered patio with ceiling fans & recessed lighting, and a beautifully landscaped lawn with a vast grass area and numerous fruit trees. Your kitchen includes java cabinetry, granite countertops, a built in oven, microwave, & range, along w/ a kitchen island large enough for 6 barstool seatings. This home is meticulously maintained & a rare single story gem centrally located in Rancho Cucamonga. 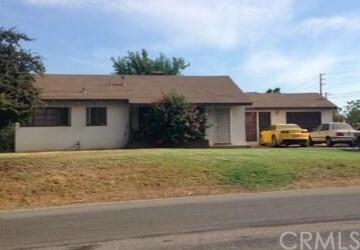 Low tax rate, in a great school district, close to restaurants, shopping, as well as quick access to the 15 & 210 freeway." "Exclusive Gated Rancho Vista Community. Expansive 4100 sq ft of luxury living with three bedrooms upstairs and two downstairs with one attached. Upgraded granite clad kitchen with a walk in pantry and a large family room are the highlights of the property. Upstairs a large loft that can accomodate family and friends for a nice cozy evening entertainment. The flooring is covered with a combination of travertine and an upgraded carpet with wooden floors on the upper level. 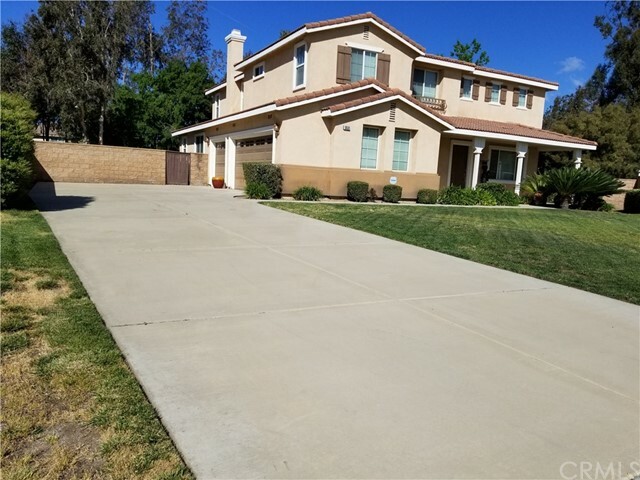 The Etiwanda School is a minute walk from this property and the proximity to the freeway and other shopping areas make this one of the most desirable choice of prospective homeowners. Only a visit can do the justice to this property. Experience it by visiting personally with your agent." 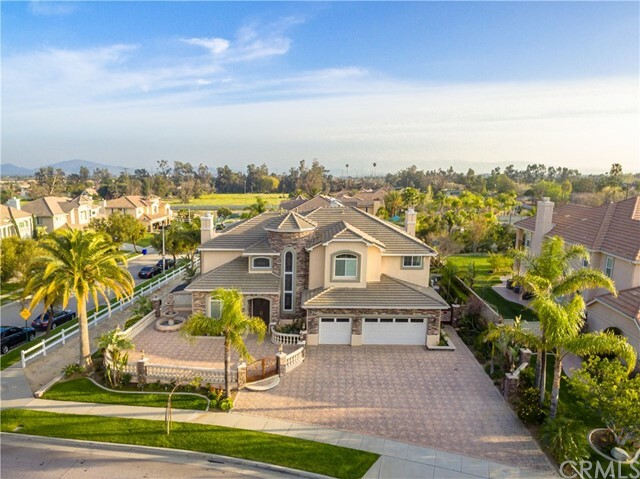 "Beautiful Elegant North Rancho Cucamonga Estate. This Estate boast Luxurious open areas for living and entertaining, comfortable and inviting owner s retreats. Enter into the Foyer with Elegant flooring design, 18' Ceilings, Travertine flooring throughout, luxurious wall-to-wall carpets in each of the 5 bedrooms, 3.5 baths with Travertine flooring, Butler's pantry leads to Gourmet kitchen with Beautiful Granite Counters with maple cabinetry, Large Center Island, Recessed lighting & under cabinet lighting, Stainless Steel appliances, Dual Ovens, 5 burner range, Plantation Shutters, Ceiling Fans, Formal Living Rm., Formal Dining Rm., Entertainment Room w/wet bar, Family Rm. w/fireplace and built-in Media Niche, downstairs bedroom and full bath. 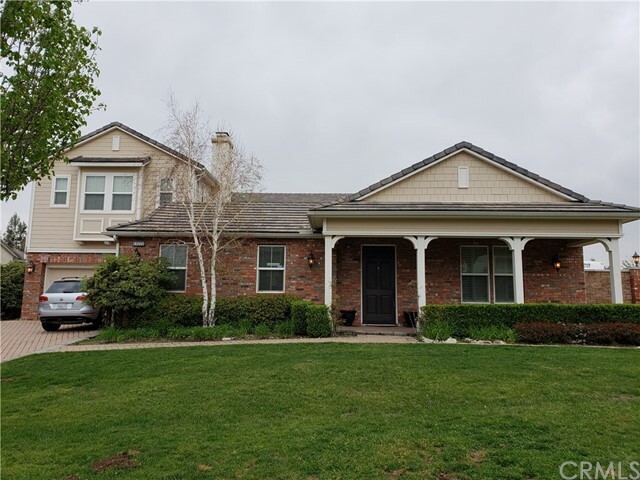 You may unwind in the Master Retreat w/fireplace and sitting area/office, or walk out to the Balcony with mountain views, spa tub, walk-in closet, his & her shower, second master bedroom upstairs, 2 other Large Bedrooms, and Bonus Room upstairs as well. 3 car garage, R.V. Parking w/Hook-Ups, and much more...Centrally located near parks, schools, dining, shopping, easy freeway access, Victoria Gardens nearby." 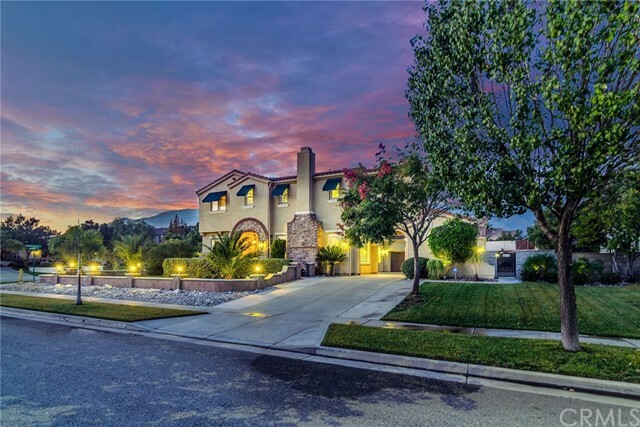 "Gorgeous estate home in the best area of Rancho Cucamonga Built By KB. This home is 3381 sqft 4 bedrooms, 3 baths, guest suite with full bath. 2 car extended garage. Over 22,000 sqft lot with rear access to the yard. Inside you will find beautiful wood flooring throughout, java color maple cabinets, luxury granite counter tops in the kitchen with modern subway backsplash, includes multi sliding door to the rear yard. The master bathroom features soaking tub and separate oversize shower, super walk in closet, double sinks with vanity area. Energy Start Qualified Windows, Insulated Windows"